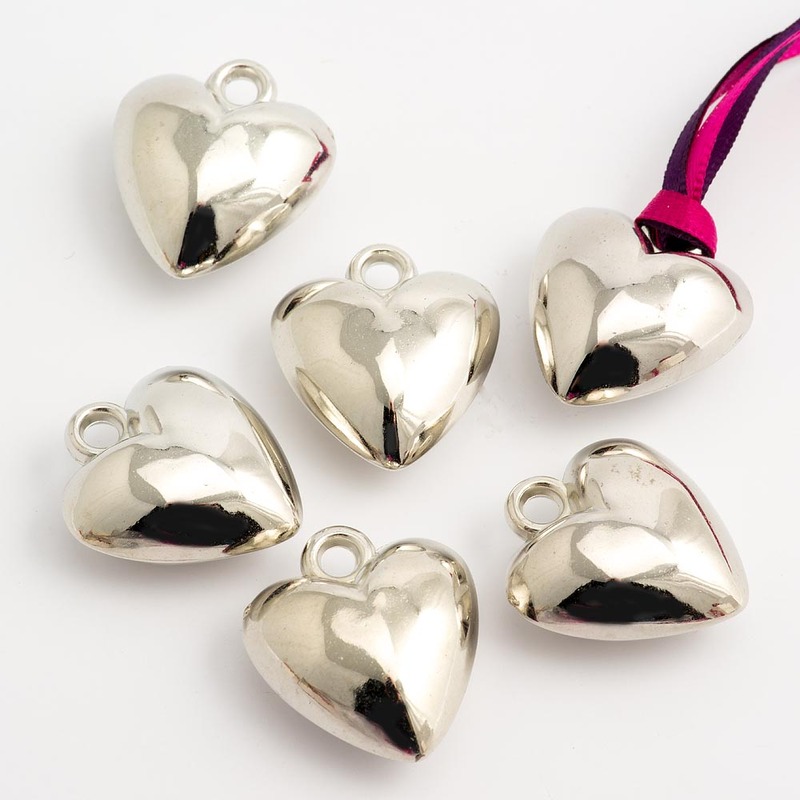 Add loving touch to favours with these elegant heart charm decorations. Each charm has a double-sided convex heart shape with a polished silver look finish. 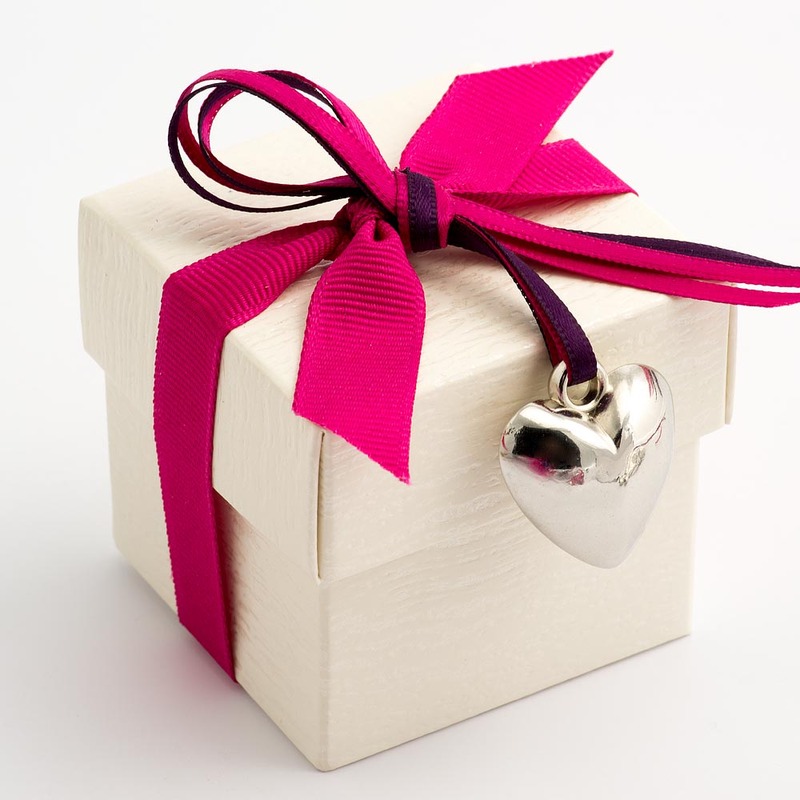 Simply thread 3mm satin ribbon through the charm and attach to favour boxes, gift boxes, organza bags, hessian bags or other designs.